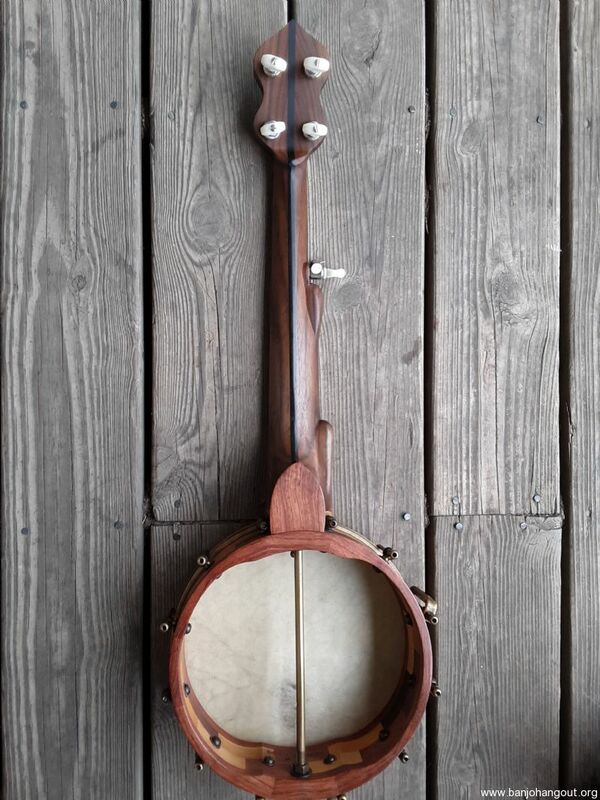 Here is a great short scale banjo handmade by Doc Huff. Like all of Doc's banjos, it is a true work of art. 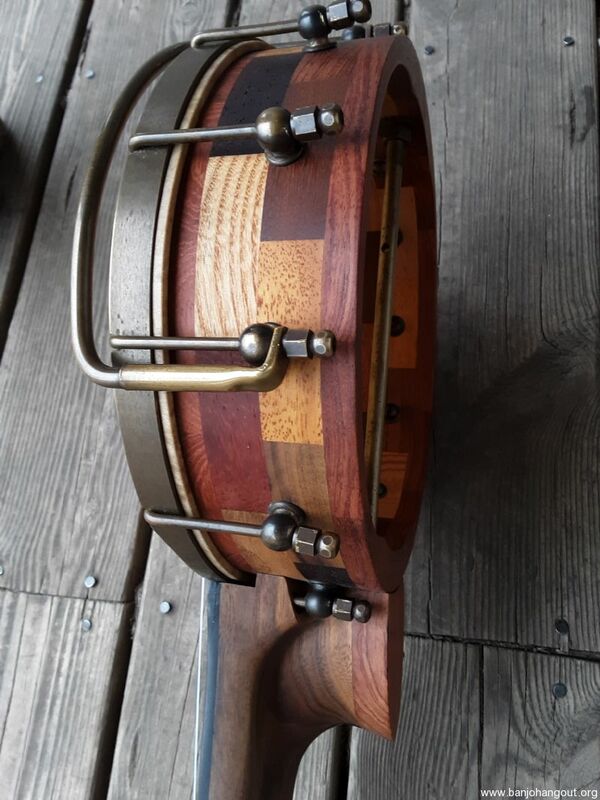 Multi piece block rim and a 3 piece walnut neck combine for a small instrument with a big, full sound. Features include Doc's famous frailing platform, Doc's handmade cathedral bridge, Doc's handmade brass hardware, armrest and dyed skin head. 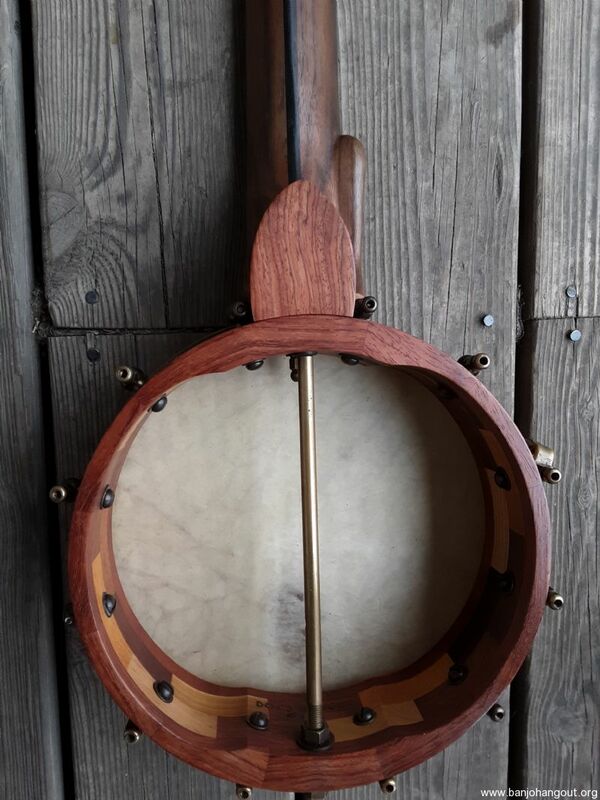 9 inch rim, fits perfectly in an A style mandolin case. Built to last many lifetimes, the woodwork and joinery is second to none. All original, except for one replacement hook. 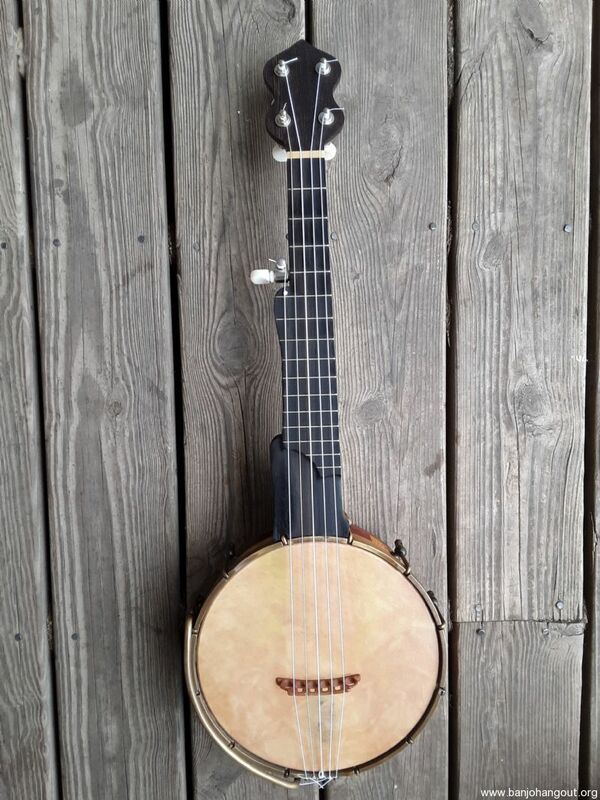 Sounds fantastic and is a joy to play in any tuning, including standard. Nylgut minstrel strings. 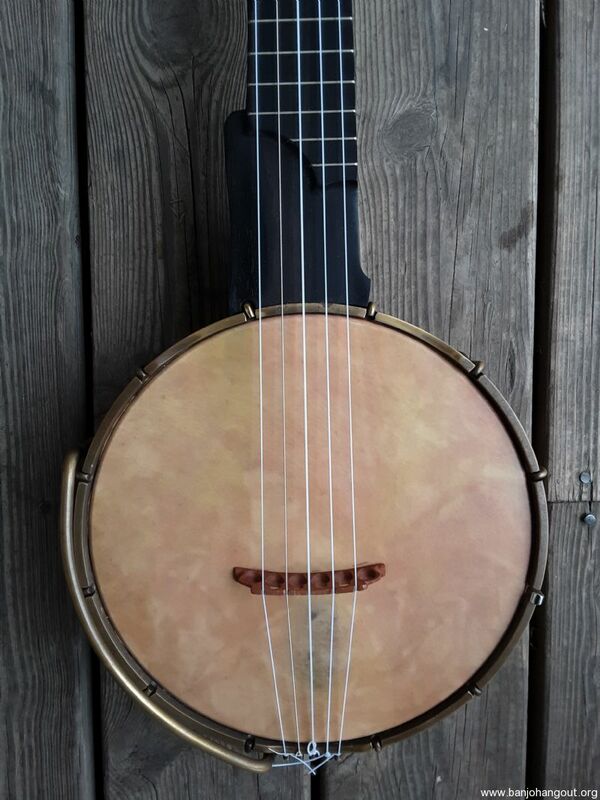 Includes used hardshell TKL A style mandolin case, which fits perfectly.